This Master’s program is aimed at training graduates in engineering and science with the skills required to understand, and use, applied mathematical modelling and scientific computing. It provides a detailed insight into industrial environmental modelling problem and numerical software. This programme also wants to demonstrate how computational engineering is used effectively in solving real­world problems. This Masters program is composed of two years training (four semesters). The first year (M1) is devoted to basic computational methods applied to the fluid and solid mechanics. It gives the basis for mathematical and numerical tools supported by projects for real applications. The second year (M2) is composed of a first semester, which is focused on the training with industrial codes. The second semester of M2 is devoted to the master thesis (16 weeks in industry or research laboratories) and the final examination. Laboratoire des sciences de l’ingénieur, de l’informatique et de l’imagerie. Laboratoire du Génie de la Conception, INSA de Strasbourg. Laboratoire d’Hydrologie et de Géochimie de Strasbourg, Université de Strasbourg, CNRS. 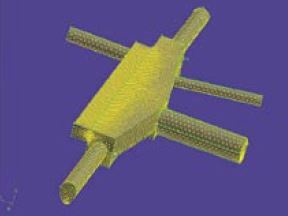 Numerical modelling for industrial applications is a rapidly growing discipline, which brings together the power of computers and the biological, chemical and physical sciences. 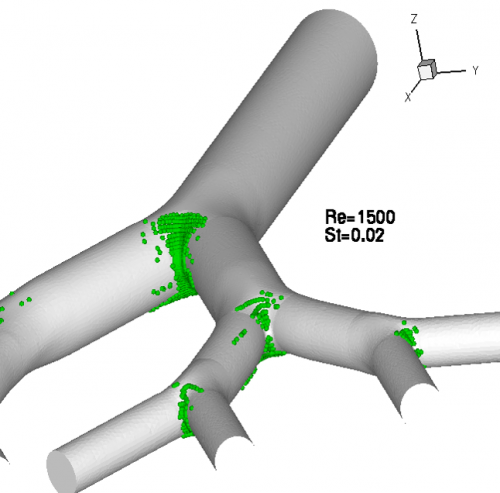 Computer based simulations and their related visualisations play a key role in industrial applications, environmental or biomechanical investigations. This master aims to train students with research and development skills through projects, which will have industrial and/or academic significance. During this master program, students will acquire the backgrounds in computational engineering, which will allow applying for jobs in industry as well as in research laboratories where computational work is needed. For the first year (M1). 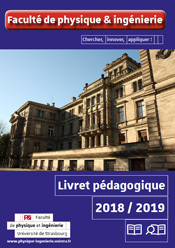 For the second year (M2) : The second year is the logical continuation of the first year but is open to students who have a good engineering background such as students from French schools of engineers (INSA, ENSI …) or students with equivalent background. A specific commission, who will make the final decision for acceptance or rejection, will evaluate the applications. Referent schooling : Florence Bauwens / 03 68 85 06 71 / Office n° 140.